✓ 99%+ customer retention rate. ✓ To date, filled 5k+ prescriptions for over 1,400 patients. 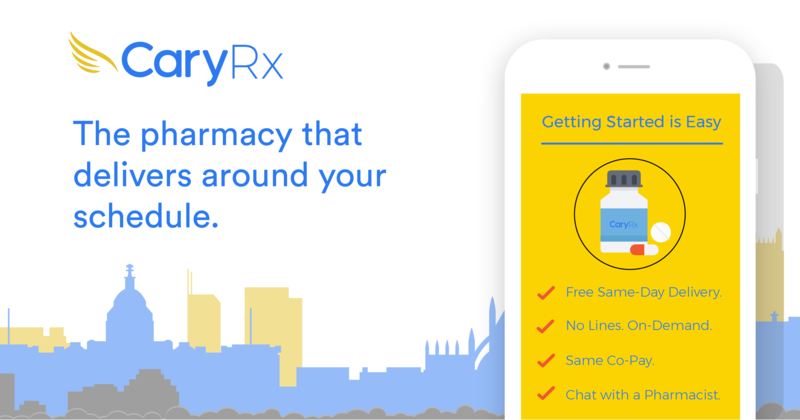 ✓ First pharmacy to partner with Postmates to automate prescription delivery logistics. ✓ Within 7 months of launching, annual revenue run rate is nearly $500k. ✓ Competitive advantage: We are the only pharmacy in the space currently offering both on-demand delivery and two-day shipping. As we expand, we want CaryRx to be owned by those who share our values and for our biggest supporters to share in our success. That’s why we’ve partnered with Wefunder – to allow our customers and community the opportunity to become part-owners of CaryRx for as little as $250. Wefunder allows both accredited and non-accredited investors the ability to invest online – quickly, easily, and securely.